Would you like the portability powered by 2x batteries or glorious style by 4x batteries. GX2/4 meets all your demands with the smallest size among all 220W mods in the global. Meanwhile, its power can upgrade to 350W via replacing the battery cover. When combining with TFV8 Big Baby, you could have double experiences immediately. 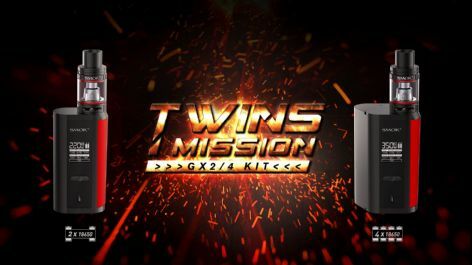 Resembled battery cover brings new twins mission vaping era. Innovation keeps changing the vaping experience!